Put your years of experience, studies and passion for animals to good use by volunteering on a Professional Veterinary Medicine project in a developing country. By joining one of our placements as a veterinary volunteer in Argentina, you will work alongside professional veterinarians, in an animal clinic and dog shelter. As a PRO Projects Abroad volunteer, you will help with the treatment and care of domestic animals. How can I help in Argentina? In Argentina, we partner with a dog shelter located on the outskirts of Cordoba, in Villa Allende. Staff in the shelter care for over 300 dogs with little support from the government and few qualified personnel. PRO volunteers with expert knowledge and experience are needed to help alleviate the pressure on local staff in such placements. As a PRO volunteer with Projects Abroad, your skills are also needed in an established animal clinic, based in Cordoba city. You will work alongside professional vets, assisting them and taking the lead on consultations. This is the perfect opportunity to put your Spanish skills to good use. You will play a key role in the clinic - performing medical procedures, educating animal owners on the importance of animal welfare and helping the staff with general animal care. Projects Abroad volunteers are encouraged to share their medical knowledge and engage in meaningful cultural exchange with staff at their placement. These engagements with local veterinarians can immensely improve current practices and standards. You will also have the opportunity to take part in community days organised by the placement staff which aim to further assist and serve the community and their animals. Communication with locals is an important aspect of volunteering as a Professional Vet in Argentina. A basic or intermediate level of Spanish would be beneficial; however, an English speaking veterinarian will be available to assist. 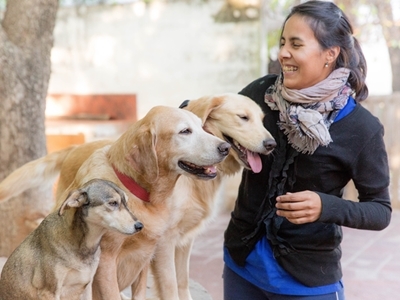 Practicing veterinarians, veterinary graduates or university graduates in related specialisations with at least two years’ worth of experience in a similar field are needed to volunteer in Argentina on the PRO project. Volunteering in Argentina as a professional veterinarian will give you the opportunity to contribute your energy, ideas and passion for animals to the local placement and community. 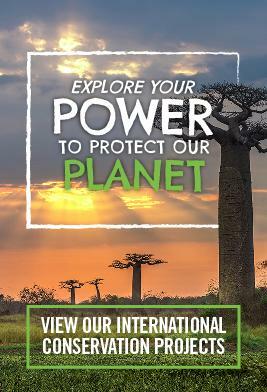 Your time abroad will also provide you with a deeper understanding of animal welfare challenges and successes in a developing country. For academics, this will provide you with interesting case studies. Skilled local veterinarians are eager to share their medical knowledge with you; much can be learnt through active discussion on the topics of animal care, international practices and medical procedures. You will also have the opportunity to coach the local staff, leaving them with sustainable and current animal care practices. You will be given hands-on experiences in the clinic and dog shelter which will test and hone your skills. During your initial days at the placement, you will be encouraged to familiarise yourself with the staff, the workplace, animals and the pet owners. Safe accommodation with an Argentinian family close to your project. If you have a degree in Veterinary Medicine, Veterinary Nursing or a related subject then you will be suited for this project. If you have any specific specialisms or interests in your field, please discuss this with us on application. Please contact us if you think your knowledge may be useful on this project but do not have the required qualifications. A basic understanding of Spanish is beneficial so that you are able to communicate effectively, both with the staff and the community. If you are interested in taking Spanish lessons while in Argentina, please read about the language courses we have on offer. Volunteers who are interested in this project but don’t have the relevant experience, should take a look at our Combined Veterinary Medicine and Animal Care Project in Argentina.